Karla Lacey [pictured], COO of the Bermuda Tourism Authority has earned the Certified Destination Management Executive [CDME] designation, the only integrated executive program specifically designed for the Destination Marketing industry. The focus of the program is on vision, leadership, productivity and the implementation of business strategies. 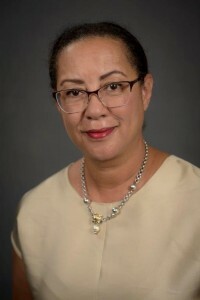 Ms. Lacey is responsible for supervising all aspects of financial, technical and administrative matters for the Authority; and managing all tourism appreciation and on-Island communications, the delivery of industry training and service standards and for Human Resources and related matters. “Although destination marketing is a dynamic and ever evolving industry, there is a fixed set of best practices that lead to successful results for the destination being served,” said Ms. Lacey. The CDME program is designed to better prepare senior destination marketing organization [DMO] executives and managers for increasing change and competition and to become more effective organizational and community leaders. Over the course of 22 years, more than 400 students have participated in the CDME program and this year the number of graduates will reach over 320. “Our mission at DMAI is to advocate for the professionalism, effectiveness, and significance of destination marketing organizations worldwide,” said Michael Gehrisch, President & CEO of DMAI. Now what would be more wonderfuller and more beautifuller for all of Bermuda would be a simple increase of tourist on the Island ! Forget all of these Highfalutin designations , put some maids , taxi drivers and waiters to work ! She didn’t have it before??? You can be knighted by the Queen for all I care. If the tourism numbers aren’t there then the designation means jack! Over to you Tony B. It doesn’t matter how many designations the BTA suits obtain. While they may look good on a resume, if our airline arrivals do not improve soon, these credentials mean absolutely nothing to the average Bermudian. Ms. Lacey’s capabilities are endless and her vision for the Bermudian Tourism Authority is pragmatic.